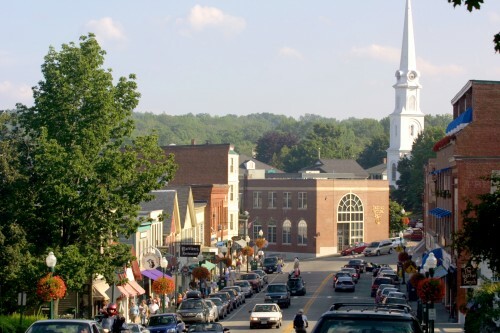 These are some of our favorite places in the Camden area! Maine Sport – Outdoor sporting goods and rentals. Josephine – Chic clothes for women. Owl and the Turtle – Excellent bookstore and cafe. Cashmere Goat – Knitting and yarn shop. Leslie Curtis Designs – Fine wicker and home furnishings. Rhumb Line-The new seafood restaurant on Camden Harbor at Lyman Morse boatyard, specializes in fresh local sea food. French and Brawn-Small grocery store with premade soups, salads, sandwiches and baked goods. Beer and Wine. The Waterfront Restaurant– On the harbor seating. Indoors and outdoors. Lunch, dinner and Bar menu. Zoot– Delicious coffee and teas as well as homemade, healthy, baked goods. Long Grain– Excellent Asian, Thai food sit in or take to go. Peter Ott‘s– Tavern and steakhouse on the harbor in Camden. The Drouthy Bear – Scottish pub with local brews on tap. Camden Premier Inns– These 18 bed and breakfast inns provide among the finest accommodations in the world and are located in Camden. 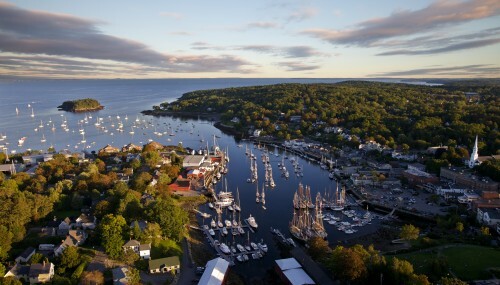 These lovely inns offer lodging packages which include a sail on Surprise.The Maine Stay Inn, Whitehall Inn, Captain Swift Inn, Abigail’s Inn, Blue Harbor House, Camden Harbor Inn, Hartstone Inn, Hawthorn Inn, Windward House, Inns at Blackberry Commons, Victorian By The Sea , Inn At Sunrise Point, 16 Bay View Hotel, Grand Harbor Inn, Lord Camden Inn, Timber Cliffe Cottage, Norumbega, Lincolnville Motel. For rental properties, go to Camden Accommodations. If you are as smitten with Camden as we are, and interested in looking at property or buying a home, Camden Real Estate Company will help you to find the place. Mount Battie-Awesome views of Camden Harbor and Penobscot Bay. Maidens Cliff– Beautiful view of Megunticook Lake and surrounding area. Bald Mountain– Longer hike with views of Camden and Rockport and Penobscot Bay. Bald Rock– Hike from Lincolnville overlooking the Bay and Islesboro. Megunticook Lake, Beauchamp Point, Lincolnville Beach, and Rockport Harbor Beach.